" Welcome to the official Sportbike Northwest website! Use the Newsletter link above to join the rally mailing list so you get all the news as it happens. 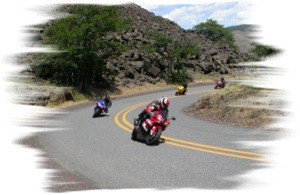 Sportbike Northwest is a five-day sport bike rally in the Columbia River Gorge held every summer. Hood River Fairgrounds is our host where you'll enjoy five days and four nights of too much fun with other like-minded riders. 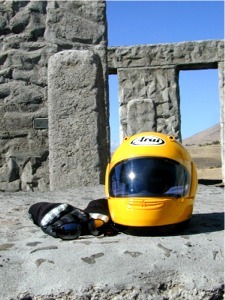 Sportbike Northwest began in 2003. It later blossomed into the Rally in the Gorge. Clubs and meetup groups use this rally to gather and have their own min-rally event within. In year's past that's included the Boeing Motorcycle Club, PNWRiders, CBSBC, Sportbikes.ws and others. We can see to it your group will all camp/RV together in the same location, just ask. Past guest have included Reg Pridmore, Nick Ienatsch, Mike Sullivan and reps from leading manufacturers like Icon, Muzzy's and more. We're always on the hunt for the best speakers and instructors.